M.A.D., or: Maeda Advanced Design Inc. in Japan, announced they will release a cartridge device which emulates the SC-3000 on MSX machines. The SC-3000 is an 8-bit home computer produced by SEGA Enterprises Ltd. (current SEGA Games Co.Ltd.). It has similar architecture to MSX, using the Z80 and the TMS9918A VDP. M.A.D. 's cartridge, the MPC-EX256, abridges the differences from MSX, because it provides the required, among more, the SN76489 sound chip and I/O ports. Meaning, you can execute software of SC-3000 after patching it to change I/O port number to VDP. A demonstration video that shows SEGA BASIC running on 1chipMSX is provided. Mr. Maeda, the developer of MPC-EX256 also says games for SC-3000 are available in the same way. He seems to welcome any contact from overseas. Cool! Could something similar be achieved with the Gyruss cartridge that's being released lately? That has the same SN76489 soundchip. I don't know about the other differences between both systems, but when a rom would be patched with the correct port numbers, wouldn't that do the trick? when a rom would be patched with the correct port numbers, wouldn't that do the trick? From the demonstration, the loader program he provides seems to patch IN/OUT commands for VDP access automatically. Watch out log messages indicating on the monitor as SEGA BASIC is booting. We can ambiguously guess what happens within these sequence. Anyway, about more detail you should ask to him directly on his YouTube channel. According to himself he can use not only English but Chinese! The goal of the Franky, Playsoniq and MMM is launch games only. Rataplan, your project is interesting but I do not see the advantage of making it in an MSX cartridge. A stand-alone device would be more interesting. With a cheap FPGA, I'm sure you can do a machine 2in1, MSX1 and SC3000. The Playsoniq is a multiexpander, we didn't build it with the goal to launch games only. F.i. it has 16MB ram, DAC etc. But, true that's where most people use it for. But a SG-3000 basic could be loaded too so I don't really see the point for another device. So what's your point? If the device of MAD f.i. also enables to connect SG-3000 peripherals or game cartridges I could see added value. Apart from the joy of creating hardware or reinventing the wheel. To make sure, let me confirm. Whom are you asking with the word "your"? If the device of MAD f.i. 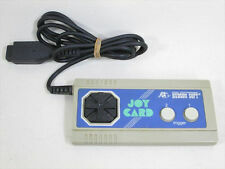 also enables to connect SG-3000 peripherals or game cartridges I could see added value. Currently Mr. Maeda seems not to have such an intention, as listening to his talking in the video. Hi Ghost, I was referring to gdx, with his statement that our devices are for playing games only. Which is imho not true. The PlaySoniq supports vdp port switching. I welcome any new developments for MSX, but I'm just saying here that some of the functionality that is being presented here already exists for quite some time. Hmm, the Keyboard and tape interface is new, interesting. I know. I was talking about Coleco/Sega functions. It's the same for the MMM (obviously less evolved). We can use these as an expansion and found other uses but a priori the goal of MPC-EX256 is to completely simulate the SC-3000 hardware until the keyboard and tape interface. That's why I think a standalone device would be more interesting. It's just a piece of advice. Adding a joystick / keyboard connector that we handle can cause the cartridge to move and make the system to crash. ghost_jp, this is the site to buy the MAD products? There are a lot of other things for sale, including RS232 interfaces and slot expanders! Negative? Maybe my remarks sounded a little so. But I agree that everyone should just build what he pleases. That's enjoying the MSX hobby. Hey, Guys. I Just want to Share some Games I have Tested with the Impressive Program SG-1000 to MSX Converter "SG2MSX" from Tiny Yarou. I made some Patches too. I'm not finished yet Because I think The same Converter can easily be modified for Do the same for FRANKY VDP but I let that work for Tiny Yarou. PS: I enjoyed a lot doing the patches and you can find in this lot for first time the Arcade Machine Version of Champion Boxing from SEGA very Interesting Hardware For Arcade Machine in the 80's. Well, Have Fun! Piter, it's positive to talk about the negatives. That makes it possible to correct the defaults. Giving only positive feedback makes it pleasant but for the project and potential customers it's negative. What is really negative is to take criticism badly. this is the site to buy the MAD products? There are a lot of other things for sale, including RS232 interfaces and slot expanders! Yes. He seems to be a vigorous man. 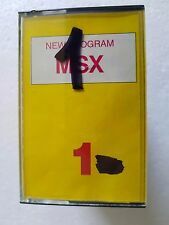 However I don't exactly know how strong his passion to ONLY MSX is. Besides his presentation to abroad is not always sufficient, but it's obvious that he can deal with anybody of the world MSXers. According to his speaking in the video, he said somebody required to him the specification of MPC-EX256. He knew it's easy and better to divert a standard PC keyboard with virtual-IC but he dared to scratchbuild a dedicated hand-made keyboard. That seemed also to be a requirement of the person. Damn the language barriers! Many items that arouses my curiosity there.